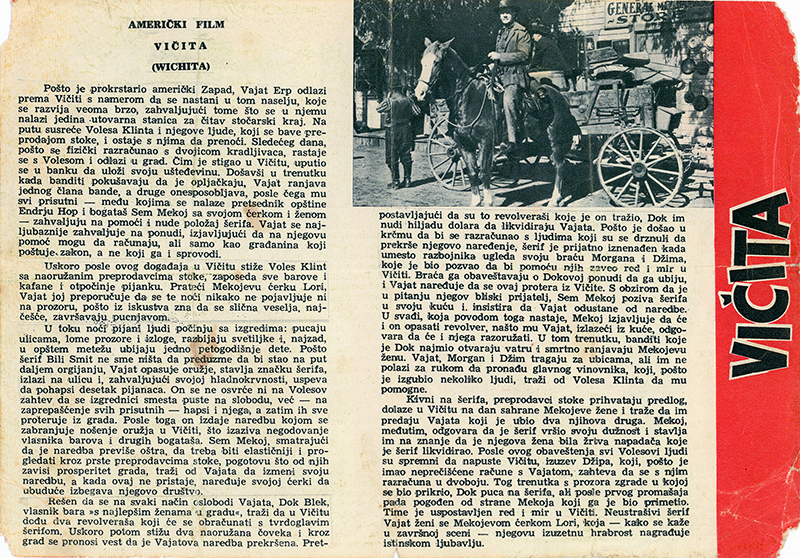 SCVHistory.com LW2970 | Melody Ranch | Yugoslavian (Bosnian) Movie Herald for 'Wichita' (1955). 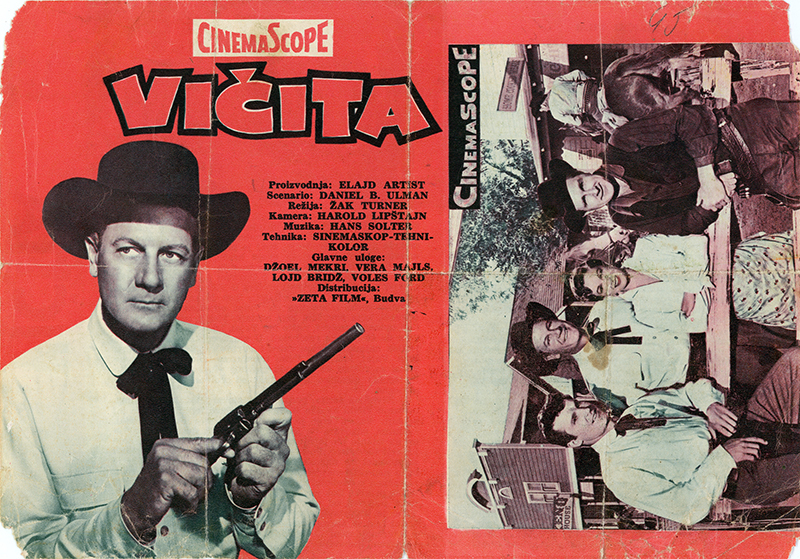 Yugoslavian Movie Herald for "Wichita"
Yugoslavian (Bosnian) movie herald (advertising brochure) for "Wichita" (Allied Artists 1955). Four pages, 4½x6½ inches (one 8x6½-inch sheet of paper folded in half). Joel McCrea stars as Marshal Wyatt Earp, and Gene Autry's Melody Ranch in Placerita Canyon stars as the title city. In the former Yugoslavia, the film was distributed by Zeta Film of Budva, a town on the Adriatic Sea in the current country of Montenego. Zeta Film is probably responsible for this herald. LW2970: 9600 dpi jpeg from original herald purchased 2017 by Leon Worden form a seller in Zagreb.